Health care of children and young people is part of a system of care of the so called “developmental age population.” In this system, prevention plays a key role. The aim of the study was, basing on the obtained results, to develop guidelines for the regional pro-family policy in care of a rural child. The study included children and young people of school age, from 14 to 19 years of age. Overall the analysis included 6,971 children and adolescents and 6,971 parents. Organization of health care of children and school adolescents depended on the solutions approved by individual founding bodies of Health Care Units and Regional Patients’ Funds. The withdrawal of nurses from school was observed. The tasks of prevention character performed previously by nurses employed at schools began to be implemented within the framework of primary health care in the child’s place of residence. For proper implementation of the tasks of school nurses and the proper development of school hygiene, it is important to establish a uniform and maximum number of pupils per one nurse, taking into account all circumstances, and to develop standards of care for the student, taking into account the age of the student, school type, and the region. 1. Amadeo M., Kurtz N., Cutter H.S. Abstinence, reasons for not drinking and life satisfaction. Int J Addict. 2003; 27: 707–716. 2. Barnekow R., Rasmussen V., Rivett D. The European Network of Health Promoting Schools – an alliance of health, education and democracy. Health Education. 2000; 2: 61–67. 3. Boutilier M., Mason R., Rootman J. Community action and reflective practice in health. Health Promotion International. 1997; 12; 69–75. 4. Curry S.J., Kristal A.R., Bowen D.J. : An application of the stage of change model of behavior change to dietary fat reduction. Health Education Research. 1992; 7: 97–103. 5. Dusenbury L., Falco M. Eleven components of off active drug abuse prevention curricula. J Sch Health. 1999; 65: 420–425. 6. Foster J.H., Marshall R.J., Peters T.J. Comparison of the quality of life of cancer patients and alcohol dependents. Qual Life Res. 2007; 6: 646–648. 8. Hurrelman K., Leppin A., Nordlohne E.: Promoting health in schools: the German example. Health Promotion Intern. 1995; 2: 121–129. 9. Kruk J.: Good scientific practice and ethical principles in scientific research and higher education. 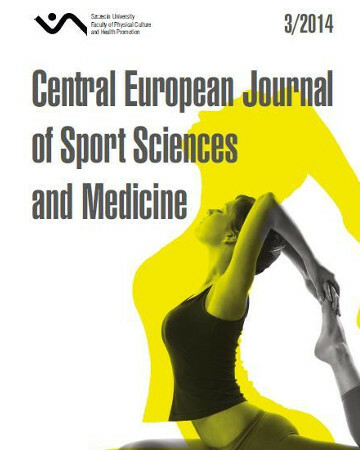 Central European Journal of Sport Sciences and Medicine. 2013; 1: 25–29. 10. Mackenbach J.P., Meerdlng W., Kunst A.E. Economic Inequalities in health in Europa Union. Komisja Europejska. Luksenburg 2007. 11. Makara-Studzińska M., Urbańska A. Alcohol Consumption Patterns Among Young People from Rural Areas of Lublin Province. Ann Agric Environ Med. 2007; 14: 45–50. 12. Rasmussen M., Holstein B.E., Due P. Tracking of overweight from mid-adolescence into adulthood: consistent patterns across socioeconomic groups. Eur J Public Health. 2012; 22: 885–887. 13. Panasiuk L., Mierzecki A., Wdowiak L., Paprzycki P., Lukas W., Godycki-Cwirko M. Prevalence of Cigarette Smoking Among Adult Population in Eastern Poland. Ann Agric Environ Med. 2010; 17: 133–138. 14. Saaranen T., Tossavainen K., Turunrn H., Verito A. Occupational wellbeing in school community – staff and occupational health nurses ´evaluation. Teaching and Teacher Education. 2006; 22: 740–752. 15. Sindall C.: Health promotion and the family – resource revives. Health Promotion Internat. PZWL. Warszawa 2000: 68–72. 16. Wdowiak A., Wiktor H., Wdowiak L. Maternal passive smoking during pregnancy and neonatal health. Ann Agric Environ Med. 2009; 16: 309–312. 17. WHO. Report on the Consultation: Development of a WHO global strategy on diet, physical activity and health: European region al consultation, Copenhagen 2003. 18. WHO. The European health report 2005. Public health action for healthier children and populations. WHO. 2005. 19. Word D.S., Saunders R.P., Pate R.R. Physical activity intervention in children and adolescents. Human Kinetics. Champaign 2007. 20. Woynarowska B., Mazur J. Używanie substancji psychoaktywnych i inne zachowania ryzykowne i młodzieży w wieku 11–17 lat w Polsce w 2002 roku. Alkohol Narkom. 2003; 16: 155–163. 21. Woynarowska B., Mazur J. Zachowania zdrowotne młodzieży szkolnej: wyniki badań HBSC 2002. Zdr Publ. 2004; 114: 159–167. 22. Woynarowska B., Mazur J., Kołoło H., Małkowska A. Zdrowie, zachowania zdrowotne i środowisko społeczne młodzieży w krajach Unii Europejskiej. Katedra Biomedycznych Postaw Rozwoju i Wychowania Wydział Pedagogiczny. Uniwersytet Warszawski, Warszawa 2005. 23. Zatoński W. Historia badań nad zdrowotnymi następstwami palenia tytoniu. In: Zdrowotne następstwa palenia tytoniu w Polsce. Eds. W. Zatoński, K. Przewoźniak. Ariel. Warszawa 1992: 25–28.